Although if you need an answer, it's "Duh". 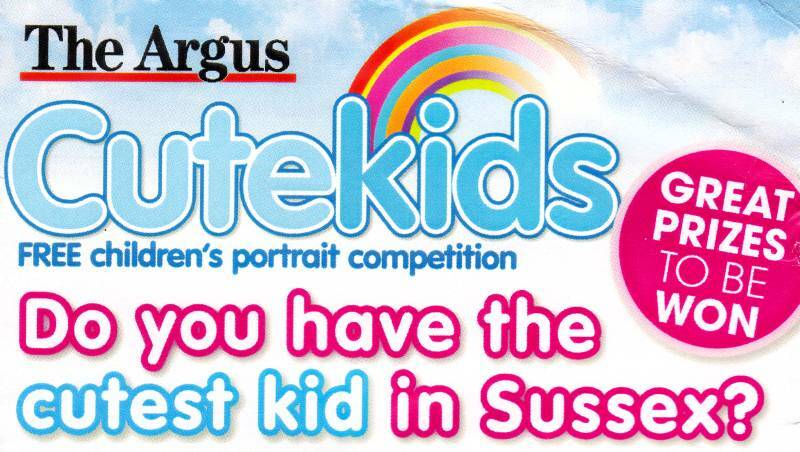 I discovered yesterday that The Argus are running a cute kids contest at the moment. Obviously if Amelie enters, it'll be a no contest, but that aside, if you take your child along to the Churchill Square shopping centre any day this week, you can have their portrait done for free by a professional photographer. The resulting pics will then be published in The Argus, and the great people of Brighton will use their skill and judgement to select the cutest. At which point the person with the most friends wins. Obviously, Amelie's been caught on camera many times at Churchill Square, but usually it's by security guards armed with CCTV. She's no stranger to being snapped though. Only the night before last, she woke up at 3am, saying a crocodile was after her. To be honest, at the moment she's not so much living the dream, as having a nightmare. She burst into tears at 10 o'clock last night, and when we went in and asked her what was wrong, she told us a talking giraffe had upset her. It's like she's being haunted by the ghost of Johnny Morris. So while I was slaving over a hot retina at work today, I instructed Lisa to soothe our disturbed daughter by taking her out for a photo shoot. Like all top models, Amelie won't get out of bed for less than fifty quid, which is handy, as that's the prize in each category. I think the word 'great' is a misprint. It cost Lisa three quid to get there on the bus, but that still leaves us £47 up on the deal. Unless you include the 42p we spent on The Argus. Obviously I wasn't there to witness today's photographic assignment, but I'm reliably informed that Amelie was the very model of professionalism. She marched in there, complained about being kept waiting, then tried to jump the queue, did her best to get into other children's photos, and nearly threw a tantrum when they refused to photograph her dog, Chef. I should explain that Chef is a cuddly German Shepherd I bought from a charity shop. I suggested she call him Shep, but due to a breakdown in communication, and the fact that I was speaking with my mouth full, she mis-heard me, and he's been Chef ever since. It's like we're living in South Park. Anyway, they took six photos of our little diva this afternoon, two of which Lisa liked, and one of which will be appearing in The Argus on Wednesday, 26th October. 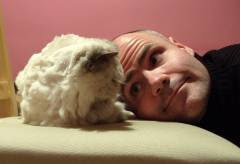 So you've got two weeks until I start shamelessly begging for votes. As long as it doesn't cost any money, I'll vote LOTS of times. I take it you'll be sharing your winnings with both of us who vote? He was diabetic, by the way. I always thought he was a sweet man.